KP-HDT25W is a new powerful HD COFDM video audio transmitter, up to 40W power which support transmitting over a long distance even with obstacles. Using the core technology 4th generation mobile communication COFDM modulation and low delay full-HD 1080P technique that can transmit high quality and stable image under the condition of fast moving or many buildings as obstacles(NLOS). Suitable for vehicles - cars, boat - boats, cars - a building, ship – a base station, aircraft –a buiding/vehicle and etc. 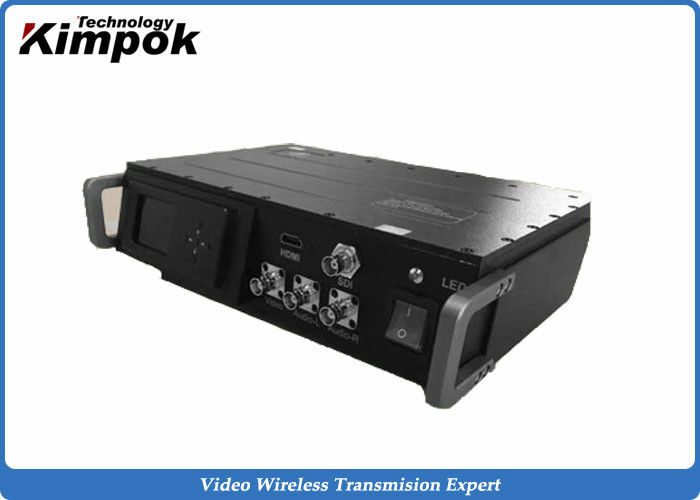 high-definition moving video signal transmission, the carrier velocity greater than 450 km / h.Widely used in public security, armed police, fire, field armies,other military departments and broadcasting, urban management, civil defense, transportation, customs, oil, mining, water, electricity, geology, finance and other relevant state departments.